The upheaval at United Bank of India once again highlights the disproportionately high non-performing assets of state-run banks. The situation is rapidly going out of control. In October last year, Kolkata-based UCO Bank highlighted its "turnaround story" in an investor presentation. The state-run bank told investors that it had managed to overcome the challenges it faced three years earlier of worsening asset quality. The bank had strengthened its risk management practices and improved its credit monitoring systems, it said. What it didn't say was that its gross non-performing assets (NPAs) at more than five per cent of advances were among the highest in the Indian banking industry. 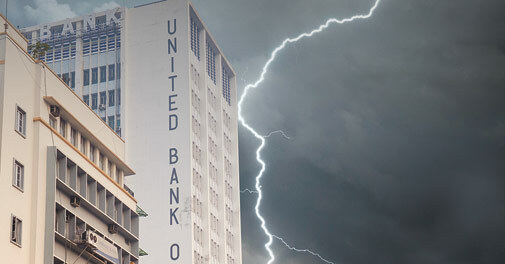 A few kilometers away from UCO Bank's headquarters is the main office of United Bank of India (UBI), another state-run lender that is now at the centre of a storm triggered by a surge in bad loans. On February 7, UBI reported a net loss of Rs 1,683 crore for the nine months ended December 31, 2013, compared with a net profit of Rs 361 crore a year earlier. Barely a fortnight later, the bank's chairperson and managing director Archana Bhargava resigned after only 10 months into the job. Bhargava had been trying to sort out the mess of bad loans and had stopped the practice of restructuring doubtful debts, but eventually quit as the problem spiralled out of control. The story of these two lenders highlights the deep NPA mess in the banking sector. The two banks, like many others, rapidly expanded their loan books on the back of high economic growth in the initial years of the last decade until the 2008 global financial meltdown reversed the trend. The situation has turned worse in the past two years as a sharp economic slowdown and high interest rates led to defaults by companies that had borrowed heavily to expand their businesses during the boom years. Gross NPAs of domestic banks jumped to 4.2 per cent of total lending by the end of September 2013 from 3.6 per cent six months before, according to the Reserve Bank of India (RBI). Bad loans could climb to seven per cent of total advances by March 2015, the RBI warned in a report in December. In absolute terms, gross NPAs are estimated to touch Rs 2.50 lakh crore by the end of March this year. This is equal to the size of the budget of Uttar Pradesh. The biggest chunk of the soured debts is with staterun banks, which account for two-thirds of loans but 80 per cent of the bad assets. The government is keeping a tab on the matter. On March 5, Finance Minister Palaniappan Chidambaram reviewed the performance of state-run banks and said that controlling bad loans was their biggest challenge. Besides UBI and UCO Bank, many other state-run lenders are struggling with bad loans. A case in point is Mumbai-based Central Bank of India. The bank's former chairman, M.V. Tanksale, had targeted to control gross NPAs below four per cent in 2013/14 but that looks highly unlikely considering bad loans touched 6.48 per cent of total lending for the nine months through December. Allahabad Bank is also facing the heat as the RBI has ordered a special audit of the Kolkata-based lender. Canara Bank and Oriental Bank of Commerce have the highest portfolios of restructured corporate loans. Private-sector and foreign lenders are better placed. Gross NPAs at HDFC Bank, for instance, are less than one per cent of total advances. The NPA coverage ratio - a measure of a bank's ability to withstand losses from bad assets - is at 80 per cent compared with about 50 per cent for UCO Bank. Shinjini Kumar, Leader of banking and capital markets practice at PricewaterhouseCoopers, says there are concerns regarding governance, decision making, credit appraisal and human resources at state-run banks. "We have to start asking why some banks are performing worse than others," she says. 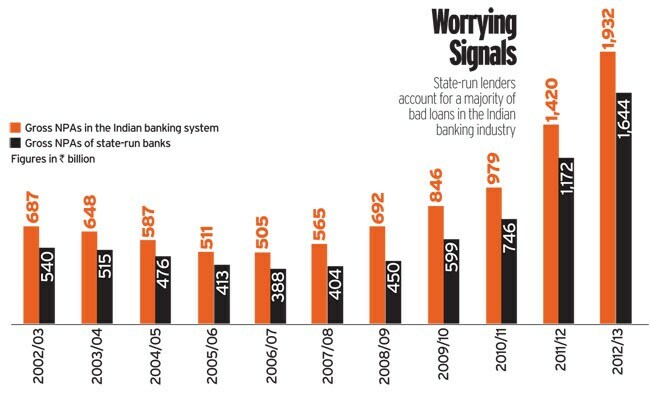 Bankers say there is a lack of rigour in loan appraisal systems and monitoring of warning signals at state-run banks. This is particularly true in case of infrastructure projects, many of which are struggling to repay loans. RBI Deputy Governor K.C. Chakrabarty said recently state-run banks lacked expertise in evaluating such projects. There are also instances of asset-liability mismatches as banks mostly attract short-terms deposits while lending to infrastructure is typically for 20 to 30 years. The NPA mess is not entirely because of the reversal of economic cycles. Indiscriminate lending by some state-owned banks during the high growth period between 2003/04 and 2007/08 is one of the main reasons for the deterioration in asset quality. "The increase in stressed assets could be attributed in part to the macroeconomic slowdown as well as to the excesses of the boom period manifested in terms of excessive leverage," says Abizer Diwanji, National Leader for financial services at consulting firm E&Y India. UBI, for instance, was growing at over 30 per cent. But nobody raised concerns over the rapid growth at a bank which was classified as "weak" by the RBI in 1999 because it was surviving mainly on capital infusions by the government. While the slowdown that began in 2008 impacted most banks, private-sector and foreign lenders learnt their lessons quickly. But many staterun banks failed to assess the impact of the slowdown on their corporate borrowers. "They failed to notice the debt overhang in some large corporate houses," says a private-sector banker. One such corporate house is Lanco Group. The infrastructure company had a debt of Rs 39,034 crore with a debt-to-equity ratio of 9.4 in March 2013, shows a study by investment bank Credit Suisse. UBI is one of the lenders to Lanco. RBI Governor Raghuram Rajan is pushing banks hard to control bad loans. Rajan has announced measures for early detection of stressed assets, greater discipline and monitoring by lenders either through coordination with others or through internal processes. Cyril Shroff, Managing Partner at legal firm Amarchand & Mangaldas & Suresh A. Shroff & Co., says the RBI framework is "a definite positive step" as it emphasises not only the need for greater coordination among lenders but also asks them to work jointly rather than individually. Many say one of the key reasons for the worsening situation at staterun banks is the absence of effective leadership. "The practice of air dropping chairmen from other banks with short tenures is the main culprit," says a banker, who does not want to be named. 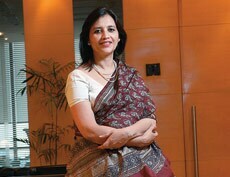 This banker cites the example of ICICI Bank's K.V. Kamath and HDFC Bank's Aditya Puri, who have led the two relatively healthy lenders for many years. The story is quite different in state-run banks. Consider the case of UBI. 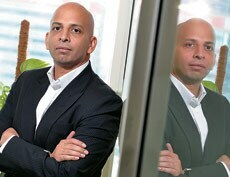 In November 2008, S.C. Gupta joined UBI as chairman and managing director. Gupta came to UBI from Bank of Baroda, where he had most of his career. When his tenure ended in April 2010 the government could have named his deputy, T.M. Bhasin, as his replacement. Instead, Bhasin was made chairman of Indian Bank and Bhaskar Sen was roped in from Union Bank of India to take Gupta's place at UBI. Sen was then replaced by Bhargava, who was earlier with Canara Bank. Many suggest the government should consider promoting executive directors as chairmen of the same banks rather than transfering them to other banks. Leadership at the middle level is also lacking. "The quality of people, clearly, is an issue at stateowned banks. Their pay is also not commensurate with private and foreign bankers," says Nikhil Shah, Senior Director at Alvarez & Marsal India, a firm that helps banks turn around stressed corporate loans. Rising NPAs are not just hurting banks' profitability but are also reducing the amount of funds available for fresh lending as banks need to make higher provisioning for bad debts. "The older the NPAs get, the more sticky they become and worse they are for the balance sheet in terms of capital cost," says Kumar of PwC. Arun Tiwari, Chairman and Managing Director of Union Bank of India, says banks have to salvage the blocked revenue stream from existing borrowers and also use the available funds to get new customers to make up for the shrinking income. Banks must also accelerate efforts to recover bad loans. After 2008, fresh NPAs every year have been more than the amount recovered from bad assets. "Banks are not well equipped to manage recoveries. We need to promote distressed funds and asset reconstruction companies, and introduce bankruptcy laws," suggests Diwanji of E&Y. A new threat is emerging from restructured loans, as economic growth continues to be weak and interest rates remain high. Restructured assets in the banking system have crossed 10 per cent of total advances. Uday Kotak, Vice Chairman and Managing Director, Kotak Mahindra Bank, said on a TV channel recently he estimated stressed assets - gross NPAs plus restructured debts - at Rs 10 lakh crore, amounting to a quarter of all deposits. This would pose fresh problems for the government, which is deliberating on a bailout package for UBI that includes capital infusion. There was also talk that UBI could be merged with Union Bank of India, which has a stronger balance sheet. However, the government can't rescue weak state-run banks every time they fall into a crisis. "The government is contributing to banks' capital but it is ultimately taxpayers' money," says Shah of Alvarez & Marsal. So, what should be done to control NPAs? Banks should focus on greater monitoring of stressed loans and early detection of deterioration in asset quality. "Existing methods would seem to be more in the nature of actions which deal with the situation where the horses have bolted the stables, rather than effectively preventing it from happening," says Shroff. "The issue of NPAs needs to be tackled at the level of prevention rather than cure." How practical are Raghuram Rajan's radical ideas?